From stand up collar to vented cuffs, this innovative coat means business. Take your visual presentation to the next level without breaking a sweat and stay prepared with a left sleeve thermometer pocket. Our poly/cotton twill blend features eight pearl buttons. This is sure to impress - after all, black is the new black. 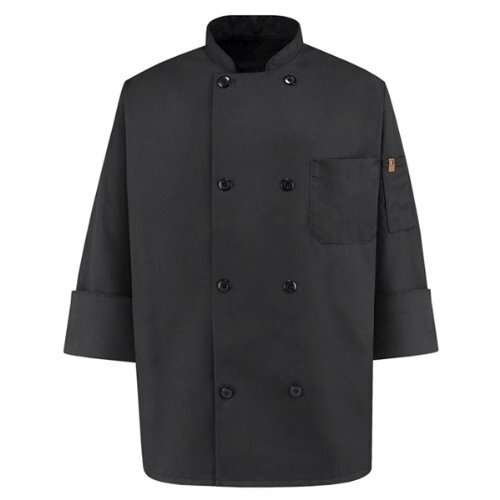 View More In Chef Jackets. If you have any questions about this product by Chef Designs, contact us by completing and submitting the form below. If you are looking for a specif part number, please include it with your message.